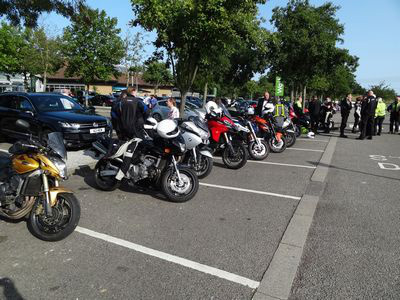 Welcome to the Essex Advanced Motorcyclists' Group. 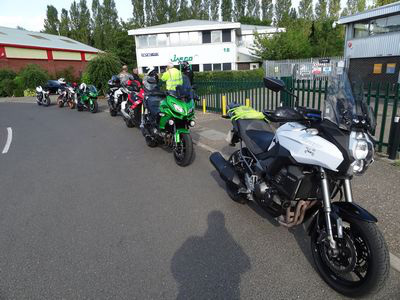 We are an established motorcycle training Group that was formed in 1982. With over 35 year’s experience providing post test further training, EAMG has successfully trained hundreds of riders who have achieved nationally recognised qualifications. We are passionate about the quality of our riding and training; it’s in our DNA. Motorcycling should always be FUN. You’ll seldom see a car driver go for a drive just for pleasure; bikers take every opportunity to enjoy the thrill of the open road come rain or shine. Yes, riding in the rain can be FUN! Modestly powered bikes will outperform most cars, more powerful bikes are in another league but need skill to ride them well. We’ve all seen riders struggling, poor positioning and tension hindering their progress. It doesn’t have to be this way. Whether you’re new to biking or ridden for years but want to be the best you can, we can help you. We’ll take your riding skills to a level as high as you want to go. Your riding will begin to flow, you’ll feel more relaxed and make better progress with an increased margin of safety. Not sure? Why not come along and meet us. All age groups are welcome, whatever you ride. Take a free assessment of your riding, further training really is FUN. April Group Night will be held at Channels.